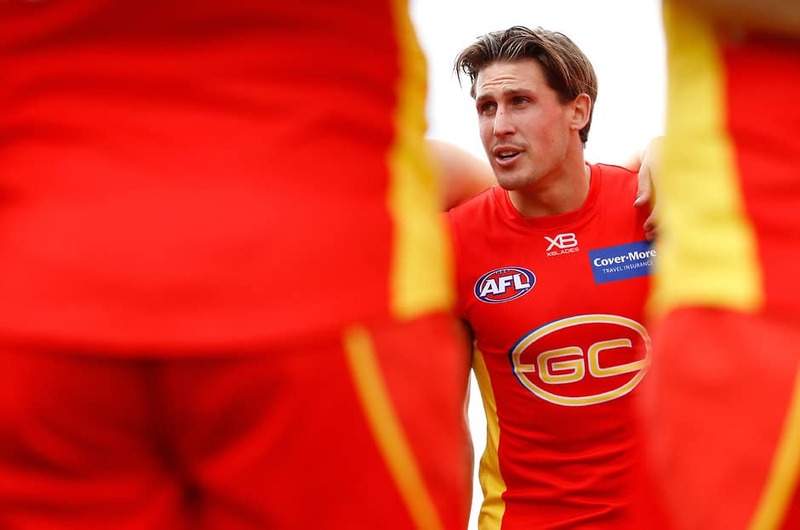 DAVID Swallow has turned his back on free agency to sign a new five-year deal with Gold Coast. Swallow, 25, was due to become a free agent at the end of next season, but the Suns announced on Wednesday evening the midfielder had recommitted until the end of 2024. Swallow's re-signing is a coup for Gold Coast after it parted ways with both of its 2018 co-captains Tom Lynch and Steven May in last month's trade and free agency periods. The Suns' first selection in their inaugural 2010 NAB AFL Draft, at No.1 overall, Swallow shapes as a key leader as the expansion club embarks on a crucial list rebuild. "I'm obviously super excited to sign on with the Suns long-term," Swallow said. "I’ve thought about it for a while now, I'm happy to get it done and looking forward to the next few years. I'm committed to helping the club get to where it wants to get to. "The Gold Coast community has really embraced us in my time up here. My partner Georgia and I love living on the Gold Coast – it's home. We’ve got a young family, we’ve got a business, we’re really settled here." The departures of Lynch and May leave just Swallow and Sam Day remaining from the Suns' 2010 draft class, while only Tom Nicholls and Rory Thompson remain from the club's 22 under-17 and local concession start-up signings. Such turnover has most pundits predicting the Suns will win the 2019 wooden spoon, while some are questioning whether they will become the first club since Fitzroy in 1964 to go through a season without a single win. Swallow, however, is excited by the challenges facing Gold Coast. "There has been a number of changes throughout the club in recent times and it’s going to be fresh for myself and everyone involved this year," he said. "The club is well placed, (has made) some good appointments in the coaching area and fitness staff, and going forward is really exciting and I can’t wait to get stuck into it. "We’ve got a young list that’s really tight and driven for success. Everyone wants to see the Suns be successful and it’s going to take a collective effort from everyone involved to get there." Recruited from East Fremantle, the Suns committed to drafting Swallow in the 2010 national draft a year early, which allowed him to join the club and participate in their 2010 VFL campaign. Swallow has played 117 games for Gold Coast, having bounced back from his knee troubles of 2015-16 to play 38 matches over the past two seasons.